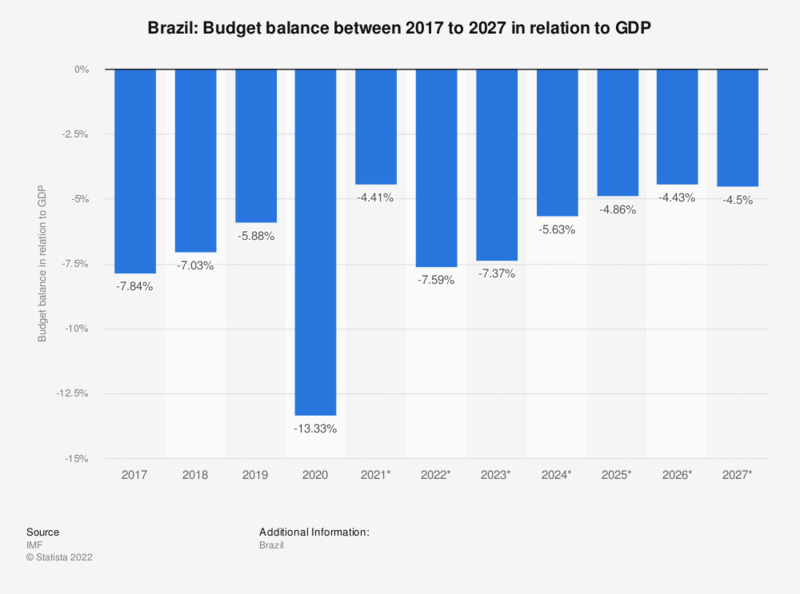 The statistic shows Brazil's budget balance in relation to GDP between 2014 and 2018, with projections up until 2024. A positive value indicates a budget surplus, a negative value indicates a trade deficit. In 2018, Brazil's trade deficit amounted to around 6.84 percent of GDP. For further information see GDP of Brazil.